A team contains ledgers that can be accessed by people and systems based on their assigned roles. 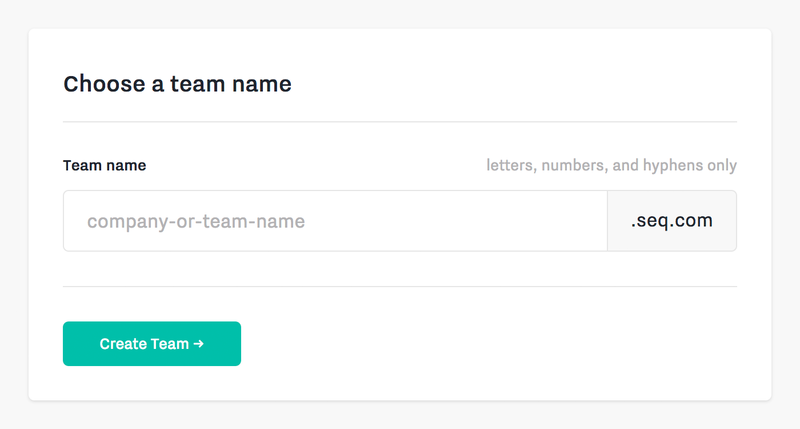 When you create a team, you will be asked to enter a team name, which will be used to generate your team URL. This is where all people on your team will log in to the team dashboard. After creating your team, you will be prompted to invite people and assign a role to each. 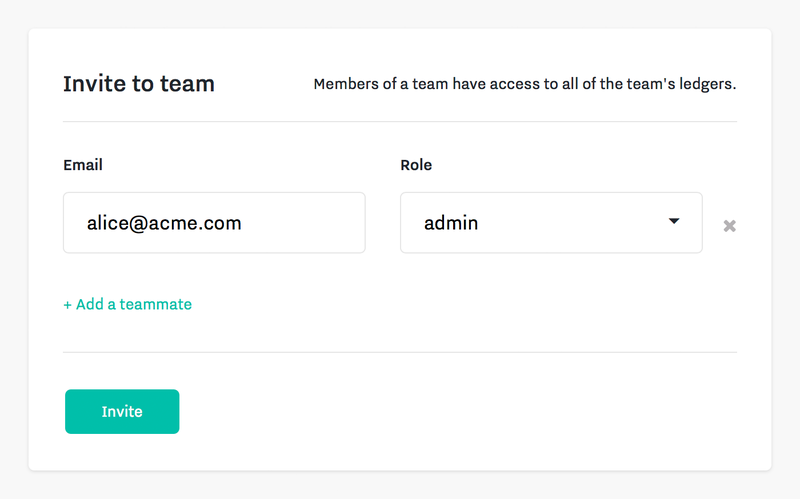 Each person you invite will receive an email with instructions to create an account within your team.